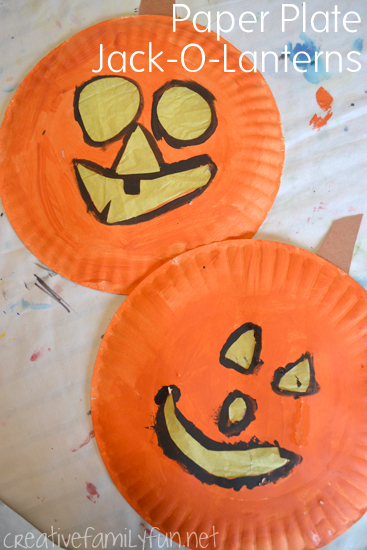 We took a simple concept, the paper plate jack-o-lantern, and added a twist. These double as a sun catcher and the yellow tissue paper helps give them a glow when they’re hanging in a sunny window. 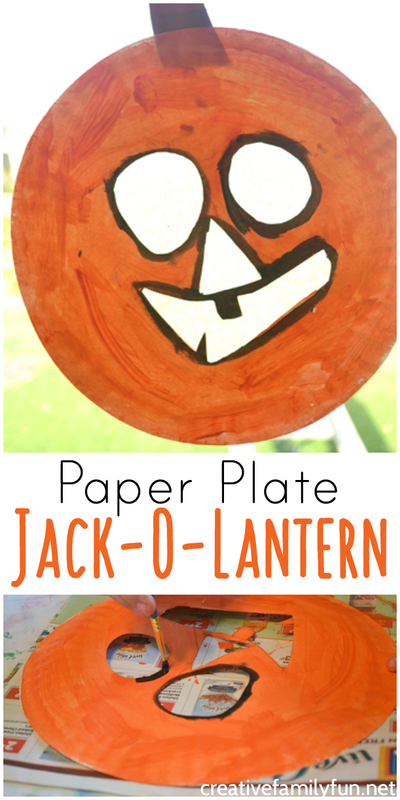 Let’s grab a few supplies and get started on our paper plate jack-o-lanterns. 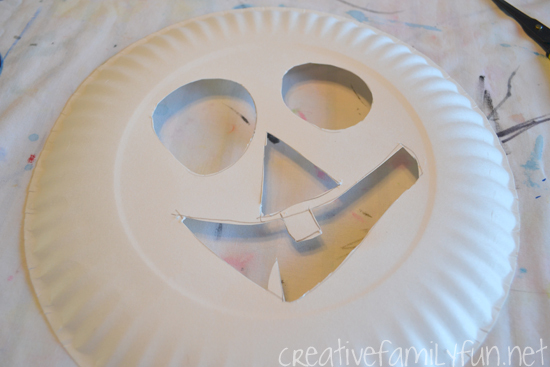 Have the kids draw a jack-o-lantern face on the bottom of the paper plate. Use the sharp scissors to cut out the face. This is the part that a grown-up will want to help with, since it requires sharp scissors to make the cuts. 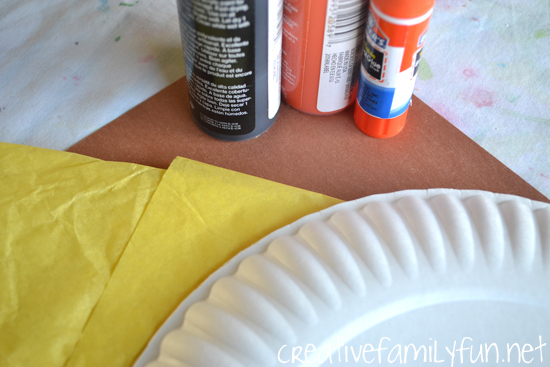 Once the pieces are all cut out, paint the entire paper plate orange. Use the black paint to outline around all the cut pieces. We found that the black outline helped our jack-o-lantern face stand out more. 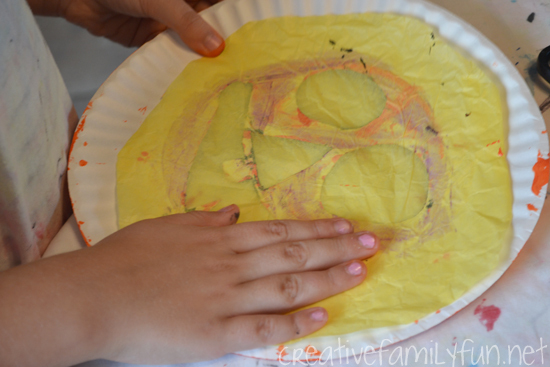 Let the paint dry a bit, and then turn your paper plate jack-o-lantern over and glue down a piece of yellow tissue paper. We cut a piece that would fit inside the plate and would cover all the open spots. We used a glue stick so that it would dry quickly. 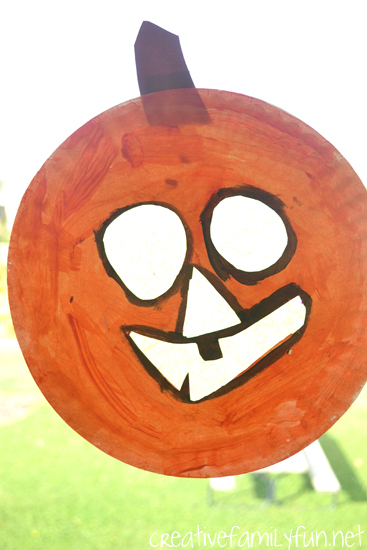 Cut a stem from your brown construction paper and glue it to the top of your jack-o-lantern. Once they’re done (and fully dry), hang your jack-o-lanterns up in the window. The tissue paper will help give your jack-o-lantern a glow like it was lit up by a candle. 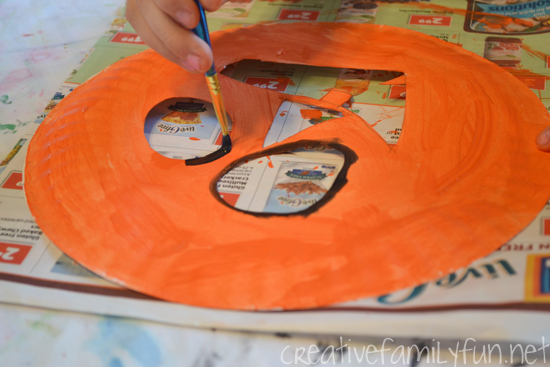 This paper plate jack-o-lantern is fun to make and very pretty once it’s done! Have fun crafting this Halloween season!